In the world of marketing, we’re perpetually evolving our capabilities to deliver cutting edge media formats that our clients require to be competitive. 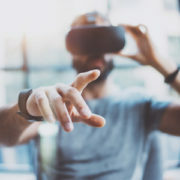 One area of preparation over the past 4 years has been VR: including Virtual Reality, Augmented Reality and Mixed Reality – they are all in the same field of taking the sensory experience beyond screen-based images and sounds. Some experiences may include haptic devices like gloves that let you “feel” while others may overlay images or data points atop the world you see through glasses. But whatever the experience, they are all next-level from the ones most people have been consuming on TV, games and movies for decades. Given this growing area of interest, we’ve stayed on top of this subject for our clients. Back in 2015, we had good reason to be excited about the potential applications of VR. 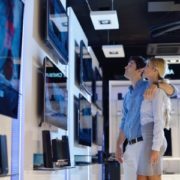 With it, our clients could theoretically deliver their customers more immersive experiences about their products and services creating a competitive edge for them. This excitement was prompted by a new wave of devices that were slated for release in 2016 and we waited to see if they would take hold. We followed up over 2016 and 2017 on the question of whether this wave of VR was just another attempt to make it stick. After all, previous attempts at VR over the 80s, 90s, and early ought’s had all fallen flat…each of them ultimately dying on the vine. However, in the follow up posts of 2016 and 2017, we established that the new wave of VR technology was here to stay. 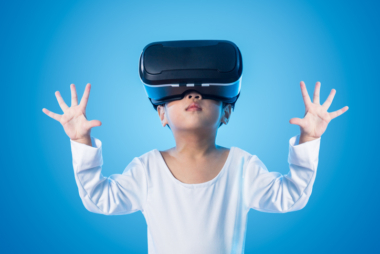 There was no drop-off in adoption and the growing presence of VR could be felt throughout retail locations, trade shows and TV commercials. Adding to Ideba’s commentary on the subject, my colleague Perri Read reflected on VR compared to 3D TV and how the latter failed to take hold. A stark contrast to what’s been observed as continuous growth for VR. So, what to expect for VR in the near future? In March 2017, the forecast was for a $60B industry over the upcoming 4-year period. Adding the figures for 2017 & 2108 to the forecast for the next two years, the total over the 4 years should far exceed $60B given the roughly $40B of 2017 & 2018 combined along with a doubling annual trend line for 2019 and 2020. It’s a brave new future for VR indeed with the US estimates running at $27B for 2018 and rising exponentially to over $200B by 2022. Breaking down the industries where this spending will occur, if 2017’s figures are any judge, 44% of this will be in the consumer sector. So, home gaming with VR will likely still be the vanguard of the expansion. In the marketing world, we’re pleased to see that the generic “Others” industry category is coming in second. It is in this catch-all category where we expect to see marketers increasingly participating by creating VR interactive product and service experiences. Have thoughts on VR’s future? Send them our way.